I view the government and the Opposition as the parents of our society. When the parents are positive and able, they take care of the family and lead it to a positive and better future. That’s the way I view political leaders, politicians and even politics. Whenever we were blessed with good ‘parents’ and strong, intelligent and visionary leaderships, our islands prospered. When such leaders pass away, it takes many years for our islands to again be endowed with another strong leader. It is human nature that parents put their children first. When a child is born, the family celebrates and, likewise, when a child or a family member dies there is misery and sorrow. Being the first ‘parent’, the Prime Minister chooses those who would run and take care of ministries. Each one then strives to better their portfolio and promote their ministries. Those most industrious and intelligent will plan and implement projects that will benefit them and their ‘families’. That is why, through the years, the priority is on projects that would benefit one’s own electoral district, where the ‘family’ is. This brings me to the issue of the Gozo Ministry. The only ministry that has limited control over the ‘family’ and the district is that of Gozo. Yes, Gozo does have a ministry but as a managing agent. The departments all fall under other ministries. In my view, the Gozo Ministry is similar to a manager running the show on another island, with restricted direct and continuous supervision. Gozo does have a budget allocated to its ministry but the money is just an extension of what is voted to different ministries. Whenever a project is initiated in Gozo, it is inaugurated by other ministries and parliamentary secretariats. Several important departments, such as health and education, do not fall under the authority of the Gozo Ministry. Having said that, one must say that, previously, their handling by the Gozo Ministry lacked good proper management and this is the main reason why they were removed from under the Gozo Ministry. I do not only blame the local administration for this but mostly the primus inter pares, the first ‘parent’, who knew about the irregularities but left them unchecked. The Gozo University campus is another strange animal. It does not fall under the Education Ministry or the Gozo Ministry. The University of Malta and its leadership just nominate a professor to run it and plan for its future by proxy. Sometimes, such a person takes months to visit the campus, let alone plan its future. As used to happen in the past, a professor assigned to give lectures in Gozo usually takes a weekend holiday with his/her family. In my view, this is a complete sham, only meant to show on paper that the Gozo University is up and running when, actually, it only serves as a holiday for some lecturers. It is time for change. A lot of good can be made of the Gozo University, apart from lace-making courses. Surprisingly, the five kilometres of water dividing the islands is the cause of diversity in thought, mentality, customs, atmosphere, habits and dialect. Officials from ministries in Malta continue to make the crossing to Gozo to evaluate certain aspects regarding offices falling under their responsibility and to have talks with both officials and individual citizens. Some might consider this positive but others, myself included, have a completely different idea. For example, an official who visits Gozo but does not know the people, the mentality or the hidden agenda of individuals they meet can be easily misled. One can be perfectly knowledgeable of the Queen’s English but ignorant of the dialect, meanings, craftiness and shrewdness of the locals. Many are enticed by Gozitans with a free holiday flat for a weekend, a free meal at a restaurant, agricultural products and gifts. This lasts until the Gozitan individual gets his promotion, permit or whatever one is after. We Gozitans know this has been the undeclared official system for many years now. Those who do not know the Gozitans can be misled and fed the wrong information even about individuals. A person can be depicted as not trustworthy, without producing any proof but only through insinuations. Politicians are very prone to this sort of underhand tactics. So my humble advice is to let those who have the know-how do the dealing. I, therefore, propose to any government to re-asses the Gozo Ministry both at present and in the future. The Prime Minister must select the right person for the job. She or he needs to have a serious personality and possess the ability to run the Gozo Ministry and all its departments with dignity and seriousness. 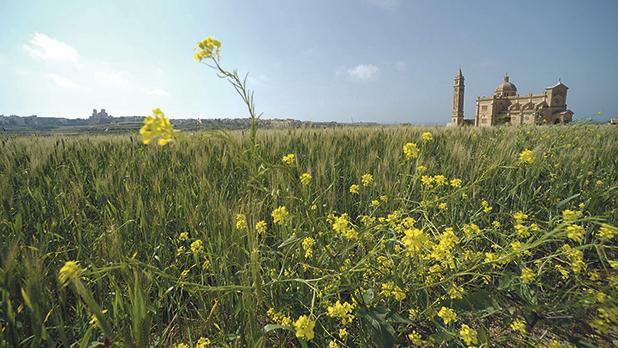 The Gozo Ministry needs to have an adequate budget that allows the small island to gradually attain a Gross National Product comparable to the mainland. As a former parliamentarian, I can say and write about these issues through personal experience both when in government and also in Opposition. I am willing to discuss these issues with anyone in authority anywhere. Lastly, Gozo should have its own television station – we already have Citadel Productions – that would serve as its voice and promote the Gozitan people’s views on various aspects. I am not talking about constituted bodies but the ordinary citizen.